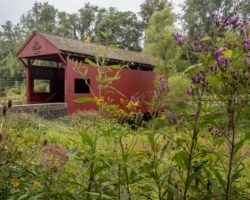 Pennsylvania is home to more than a dozen zoos, but there is only one aviary in the state. 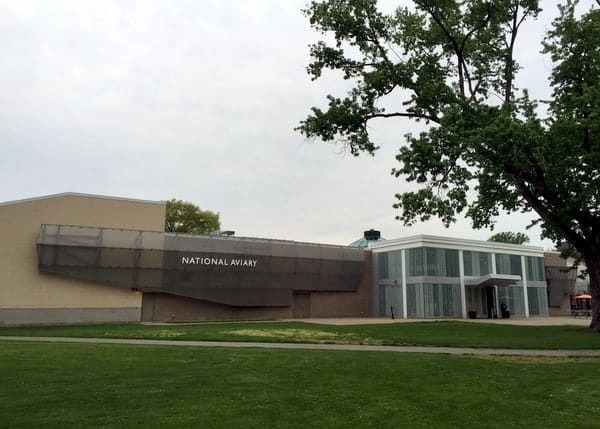 However, the National Aviary in Pittsburgh is not only the only aviary in PA, but it’s also the largest aviary in the United States. The aviary opened in 1952 as the city-funded Pittsburgh Aviary-Conservatory. It was expanded to 25,000 square feet by 1967 and remained a popular institution for many years. 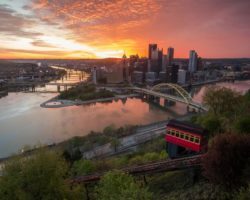 The aviary was almost a casualty of Pittsburgh’s declining industry, but a non-profit, grassroots organization came together to save the aviary and make it into a private organization. The entrance to the National Aviary. In 1992, the aviary was transferred to a non-profit organization. 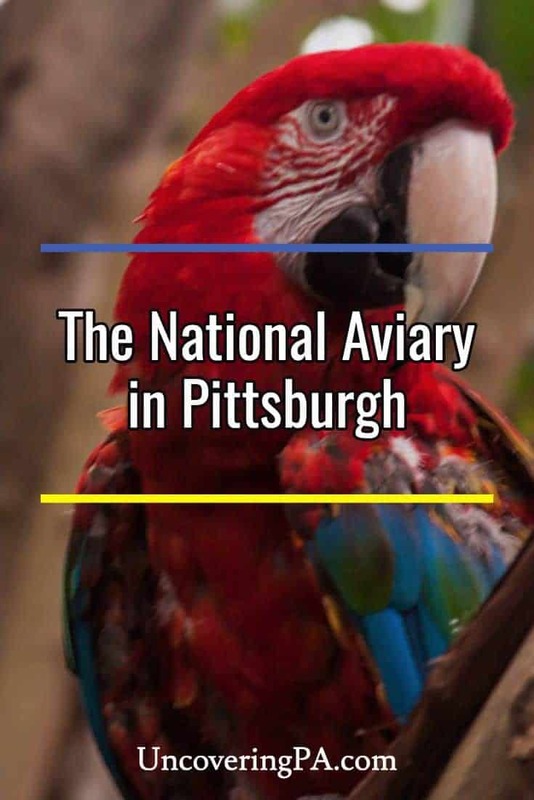 Then, in 1993, Congress designated the aviary in Pittsburgh as the National Aviary. 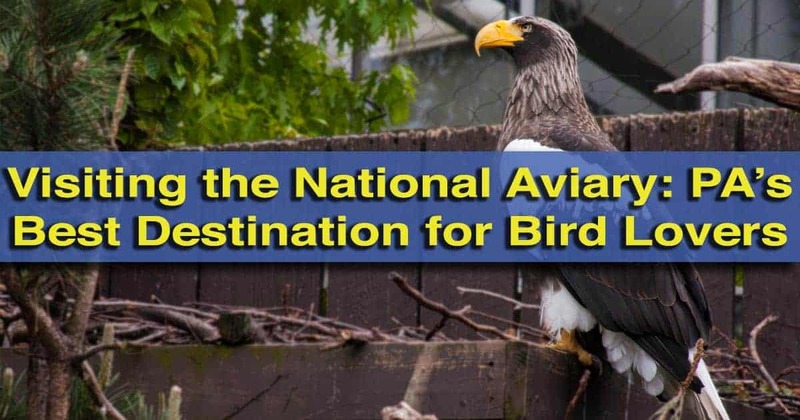 Since then, the National Aviary has increased in size to 40,000 square feet, making it the largest aviary in the United States. Today, the aviary is home to 600 animals from roughly 200 species. They are divided into eight different sections, each featuring animals from a different habitat. 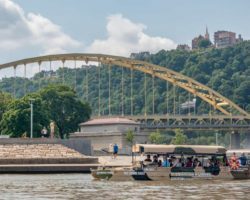 Those looking for other species of animals can find them at the fantastic Pittsburgh Zoo and PPG Aquarium. 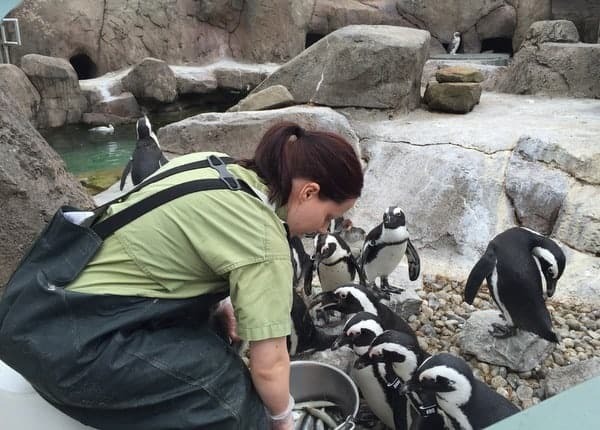 One of the most popular areas is Penguin Point, which is home to the aviary’s collection of African Penguins. These playful animals are a lot of fun to watch and the display offers a nearly 360-degree view of their enclosure. 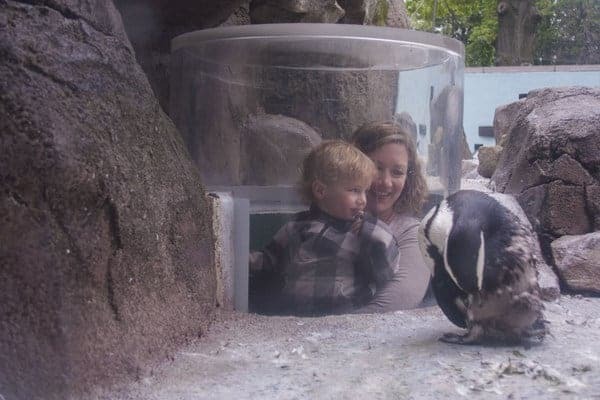 There are even passageways under the enclosure that allow visitors to pop-up into glass domes in the middle for a unique look at the penguins. Standing inside a dome at Penguin Point. In the Tropical Rainforest and Wetlands areas of the aviary, visitors can walk amongst a variety of birds. These birds range from ground-dwelling varieties to fliers of all sizes. Signage tells about some of the birds in the area. I had a lot of fun reading about the birds and then trying to find them in the enclosure. The Canary’s Call section tells how birds can be indicators of changes in the environment around them. While there is a lot of great information to read here, there are also many beautiful and unique birds on display to enjoy. This area is also home to Malayan Flying Foxes, one of the largest species of bats in the world. 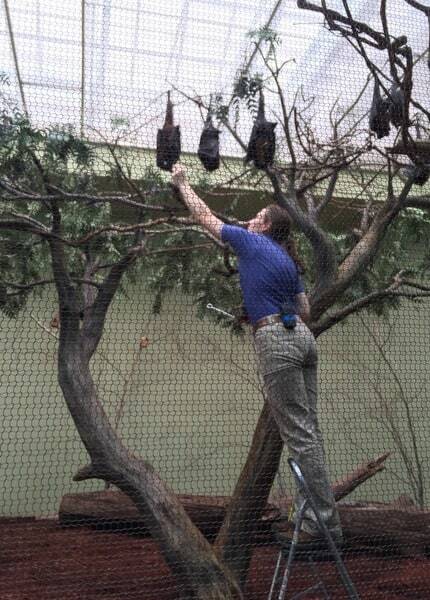 Feeding the Malayan Flying Foxes. An unexpected highlight of the aviary is their sloths. 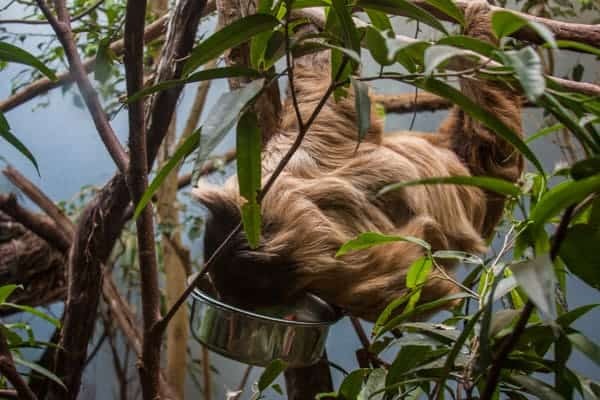 At the time of writing, the National Aviary is home to two sloths, one adult and one that just turned one year old. The adult sloth is located in the Cloud Forest exhibit, which offers a great chance to see a sloth among other animals from its habitat. In addition to exhibits, the National Aviary features a variety of feedings, shows, and interactive experiences each day. The aviary is currently showing “Nature’s Flight,” a live, free-flight show, which is a small, additional fee. Shown twice a day (except for Tuesdays), this show features a variety of the aviary’s birds on display in a 20-minute show. Unfortunately, due to the timing of the shows, I was unable to see it during my visit, so I can’t comment specifically on it, but if you have the chance, I’d think it would be worth seeing. Throughout the day, there are also a variety of feedings in the various areas of the aviary. Make sure to check the daily schedule when you visit to see when they are occurring. During my visit, I got to see the bat feeding and penguin feeding, both of which were interesting and offered a unique way to see and learn about these animals. The feedings are included in the price of admission, and it’s well worth taking the opportunity to see these if you have a chance. The penguin feeding at the National Aviary in Pittsburgh, PA.
For those wanting to get an in-depth look at the aviary’s animals, they offer several interactive experiences that give visitors the chance to get up close and personal with some of their animals. 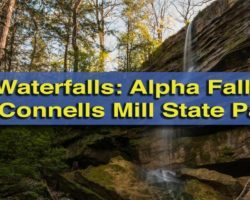 These experiences have an additional cost, and it’s recommended that you book them ahead of time. You can see the list of interactive experiences here. 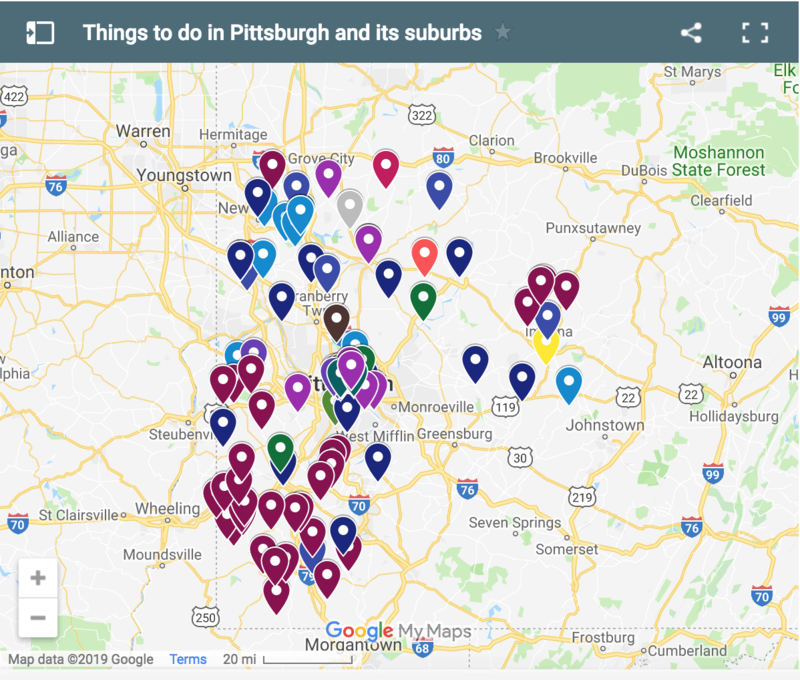 Pittsburgh is fortunate to be home to the country’s largest aviary. However, despite being so large, the aviary has an intimate feeling, and I really felt like I was able to get a close-up look at the birds and other animals that inhabited its exhibits. Overall, I’d give the National Aviary a solid recommendation for animal lovers visiting the Pittsburgh area. Note: My visit to the National Aviary was hosted by Visit Pittsburgh. However, the opinions expressed are my own. Thanks for the information. I walked there, so I didn’t have to deal with parking.